Can mugs as the are call, because of the can like shape, are among a staple of promotional products that work. They are used regularly and get great exposure. Logos can be printed on both side of the mug all in one print run. Two for the price of one as it where. 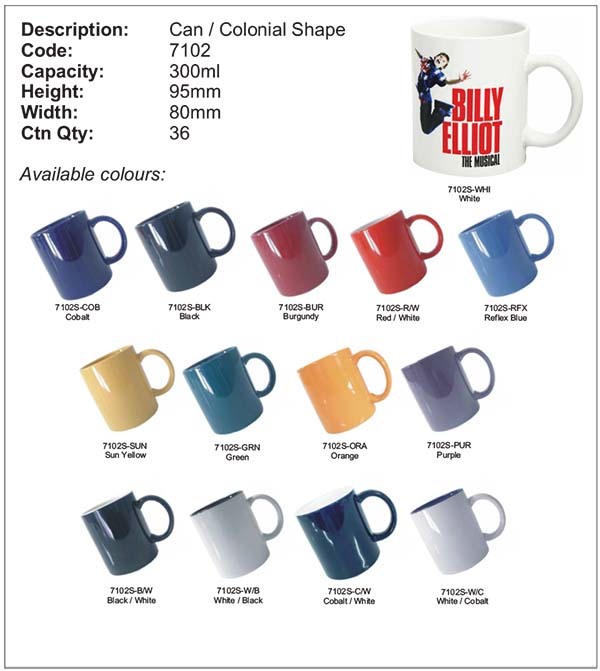 Available in heaps of colours, printed can mugs as promotional gifts are a must for every business. I am more than happy with the quality of print!